The Arizer Go, or Argo, is a brand new portable from Arizer following on from the success of the Solo II and Air II Vaporizers. It’s remarkable that Arizer have put out another herbal vape so shortly after these two, but the pocket-sized ArGo holds its own against the two larger models. The vapour quality remains as good as the Solo II and Air II models, but the ArGo has shorter battery life and slower heat-up time. However, if you mainly vape your herbs outside, the compact size of the Arizer Go could be a clincher, as it allows for much more discreet use at no detriment to vapour quality. Also, the Arizer Argo can now be carried around as a single piece, unlike the Air II and Solo II, as the glass stem can be concealed and protected by the push-down top of the device, which you can see is raised in the below image. This means Arizer have finally created a device which can hold in the palm of your hand and slip in your pocket easily, without the risk of breaking the glass stem. Because the ArGo uses glass stems, the heat up time suffers slightly, but it still only takes around 60 seconds to reach 200 °C. This is about the temperature you want the Arizer Go to reach in order to get the highest quality vapour from your dry herbs, possibly a little higher. Thankfully, the ArGo can reach temperatures up to 220 °C, which is ample for achieving your desired draw strength. 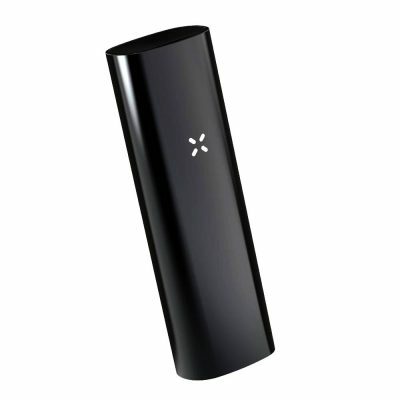 The Arizer ArGo could be considered a hybrid vape as, although it predominantly uses conduction heating, it also uses a mixture of conduction and convection to reach its desired temperatures. This allows for smooth airflow through the glass stem mouthpiece, providing a tasty flavour and a cool feel on the back of the throat. 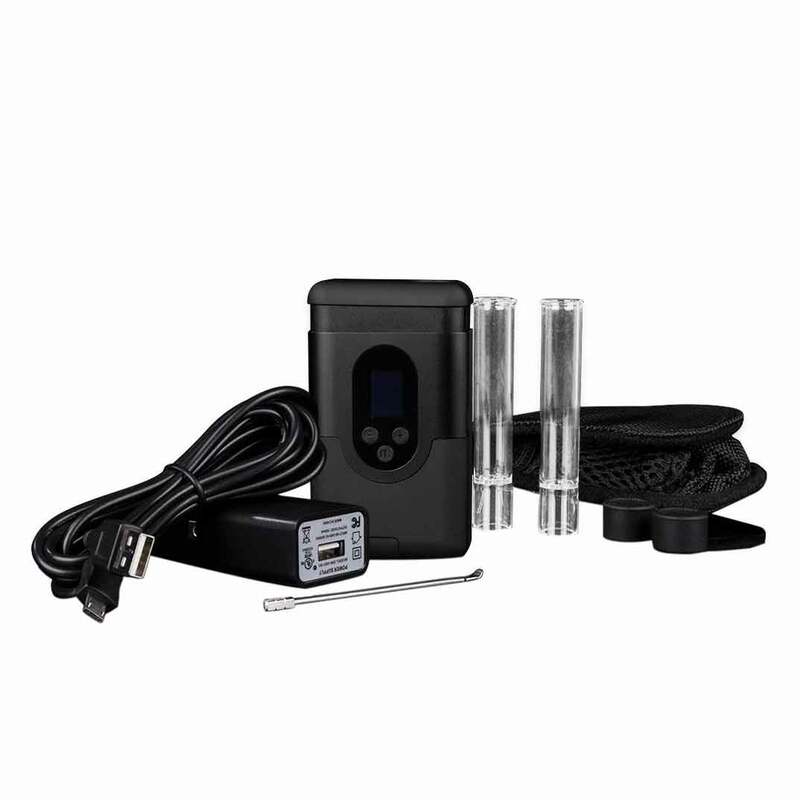 The ArGo vaporizer also boasts full temperature control, adjustable by the nearest degree,allowing you to select the heat settings which work best for you and your herbs. The Arizer Go, or ‘Argo,’ is Arizer’s answer to the pocket-friendly vaporizer scene. With a completely redesigned housing measuring just 93 x 52 x 24 mm, this is one of the smallest units on the market at the moment. While not as small in width as the Air II, the ArGo is far shorter and fits snugly in the hand, no bigger than a deck of cards. 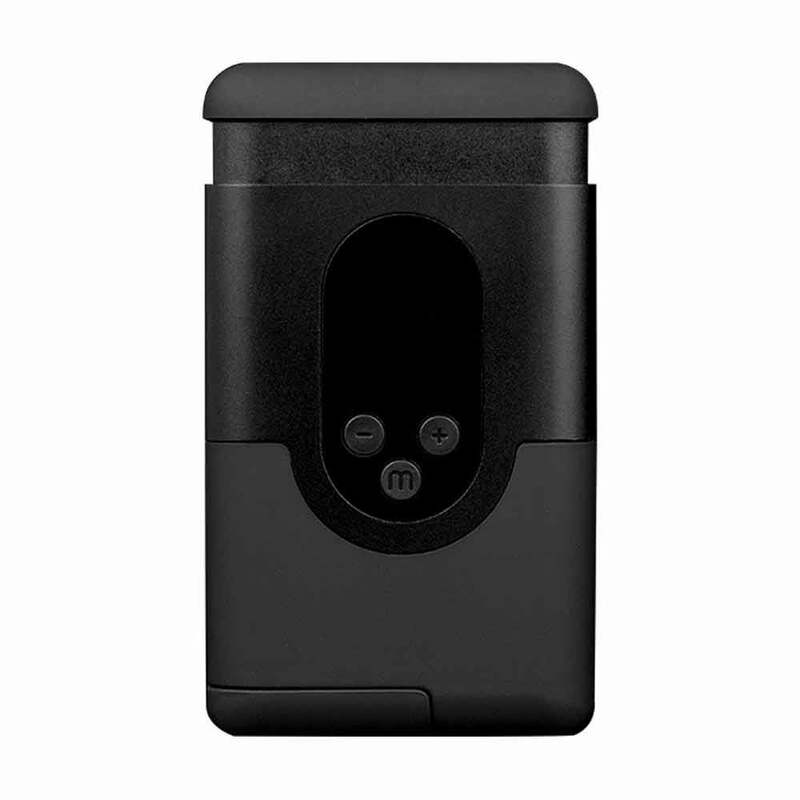 This makes it easy to discreetly use the Arizer Go and slip it into your pocket easily. 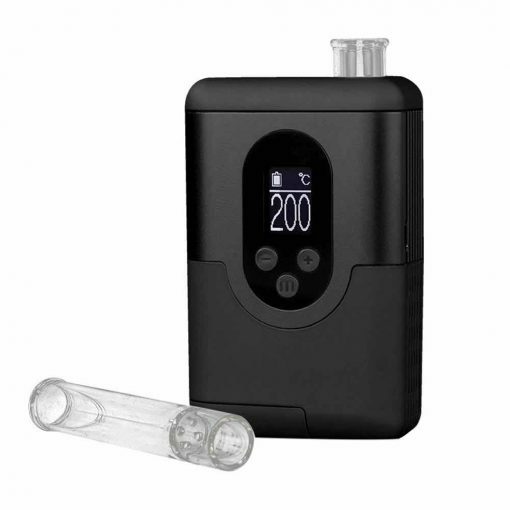 I personally prefer the design of the Arizer Go to the Air II and the Solo II as it seems a lot less clunky – the drive to make a compact device has forced Arizer to design a vape which embeds the glass stem within the device, which I think makes the overall feel of the ArGo more polished. 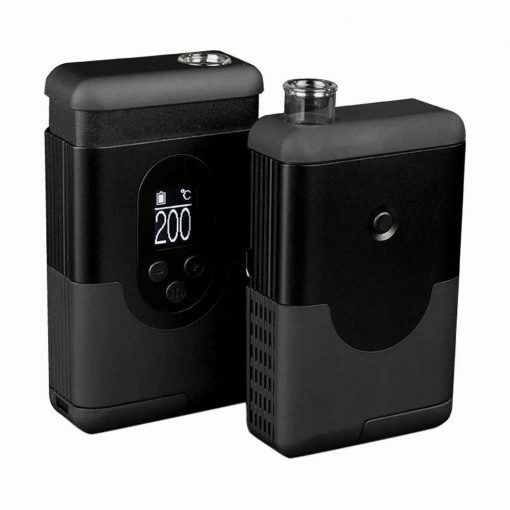 Considering the highly compact size of the vape, the Arizer Go has two distinct features which Arizer have done really well to integrate within the small design. The first is the pop-up stem protector, which conceals and protects the ArGo’s glass mouthpiece. 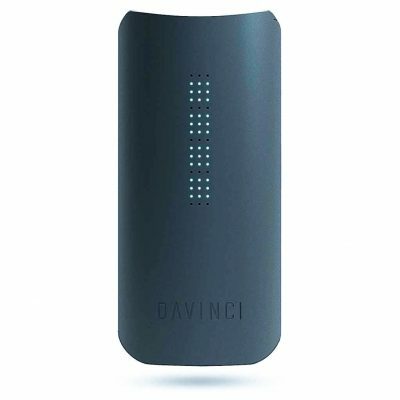 Not only does this feature do a good job of hiding the fact that this device is in fact a dry herb vaporizer, but it also protects your glass stems with a simple but effective shield from anything else that could be in your pocket. One of the complaints about the other Arizer vaporizers is that the glass stems break easily and regularly needs to be replaced. With this addition, this should no longer be a concern when using the Arizer Go. The second impressive feature is the removable and user-replaceable battery. 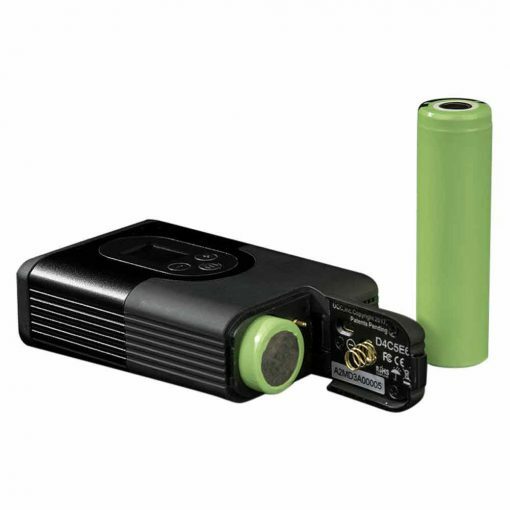 The 18650 Lithium Ion batteries can easily be removed by depressing a latch on the bottom of the vaporizer. This means that you can carry additional batteries with you to ensure that you don’t run out of charge when you’re on the go. This makes the lower battery life of the ArGo compared to the Air II and Solo II less of an issue. 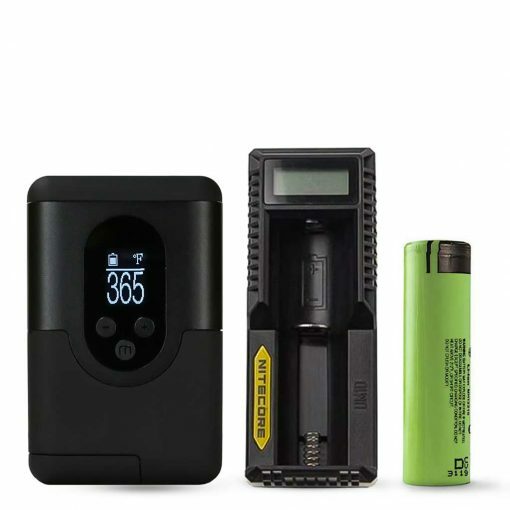 The batteries also allow you to use your Arizer Go while it’s charging, which is always a bonus on any portable vape. Finally, the on-board display (familiar to those who have used the Solo II) and user-friendly control buttons provide easy access not only to the basic temperature control functions but also to some handy customisation features.